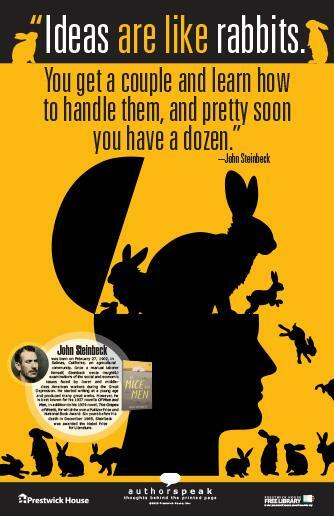 Our latest AuthorSpeak poster features a witty quote from American literary giant John Steinbeck! 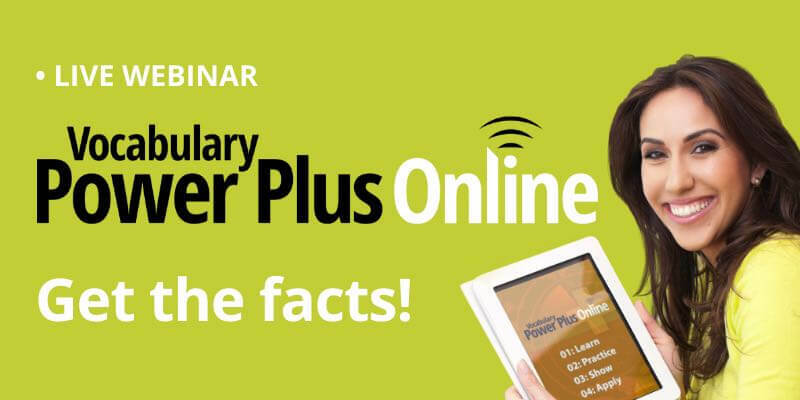 Watch this recording of the webinar highlighting our new program, Vocabulary Power Plus Online. 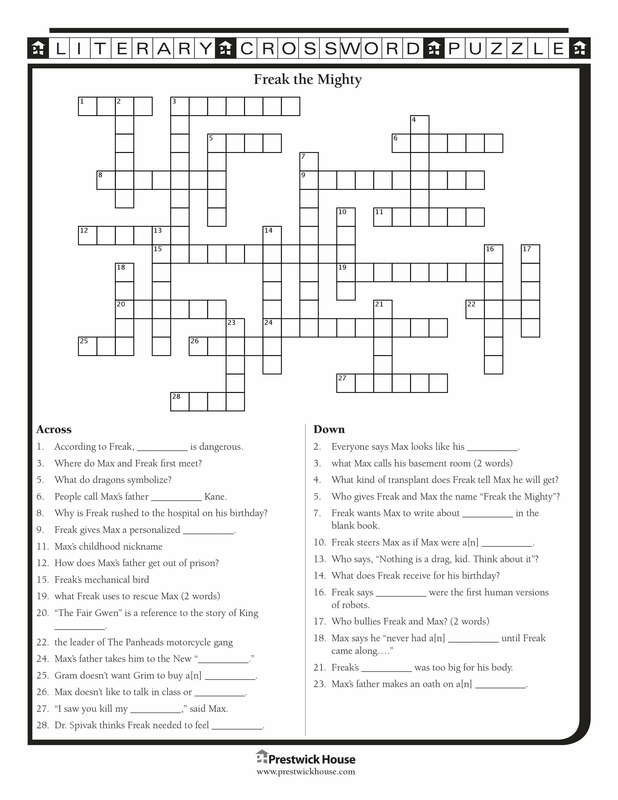 Our newest crossword puzzle focuses on Freak the Mighty, a story of triumph and courage in the face of adversity. 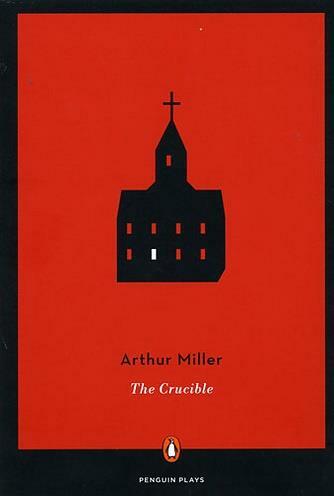 See a synopsis, objectives, and techniques for teaching The Crucible. 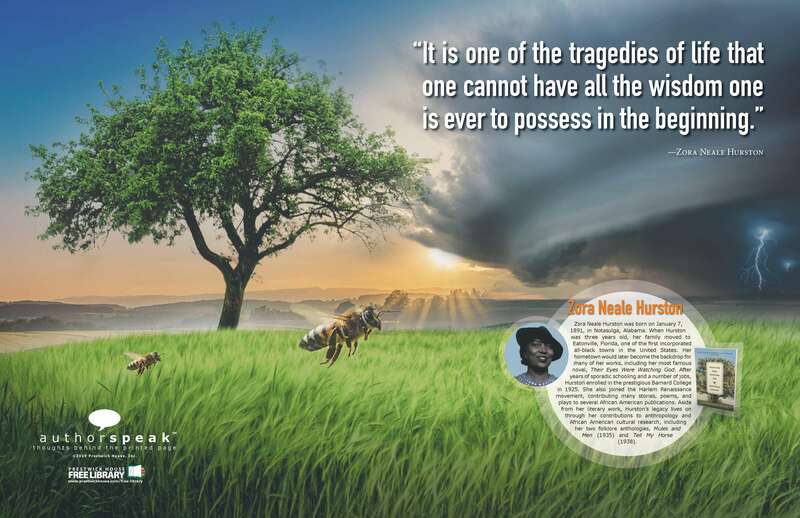 Our newest AuthorSpeak poster features a clever quote from Zora Neale Hurston. 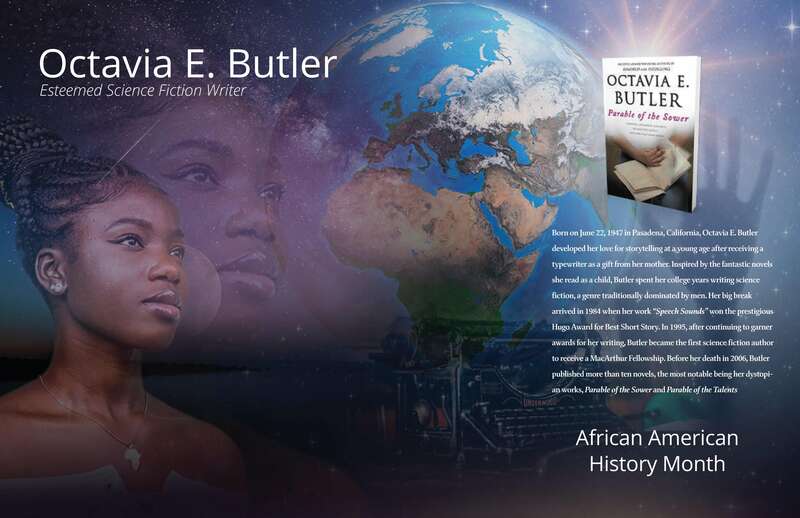 Our latest poster features Octavia E. Butler, one of science fiction’s most prominent female authors. 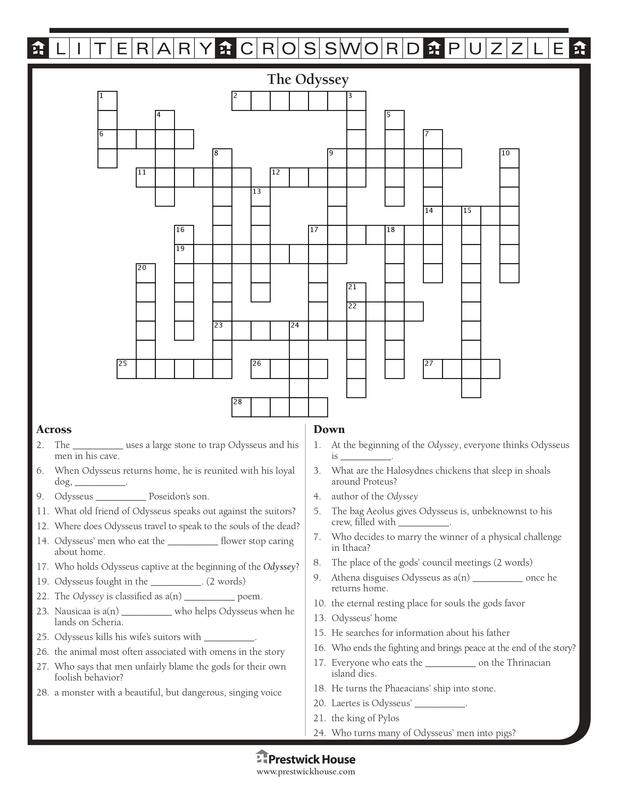 Navigating Odysseus’ journey home is a breeze with our newest crossword puzzle based on Homer’s epic poem. 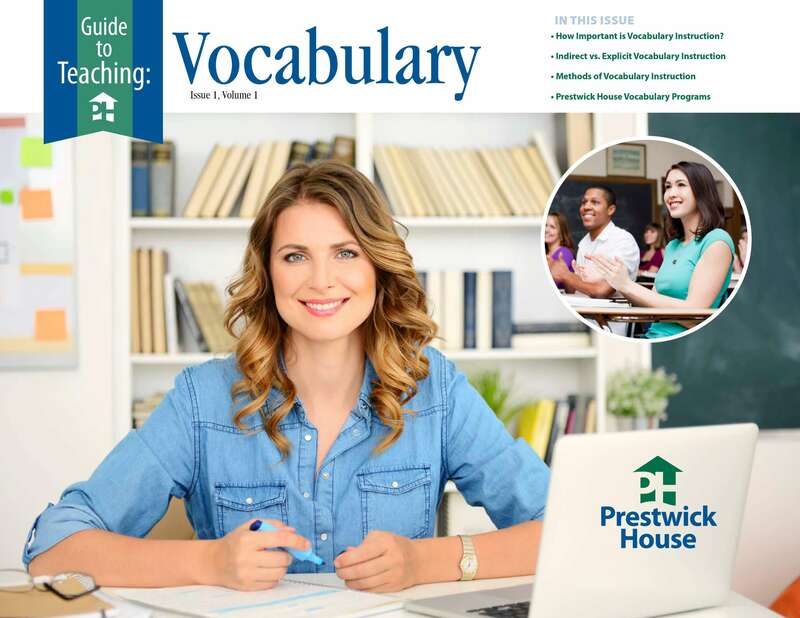 Download your free crossword puzzle for The House on Mango Street. 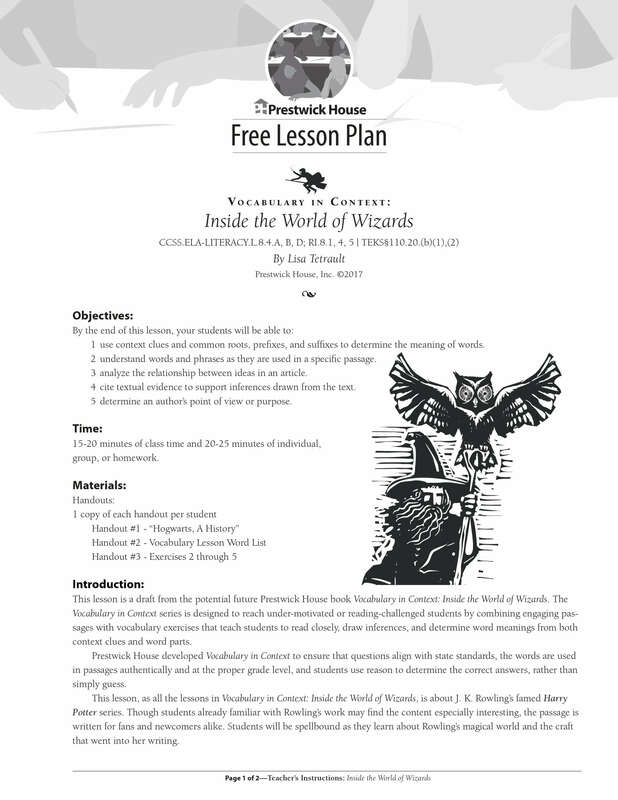 Students will learn about Rowling’s magical world and the craft that went into her writing. 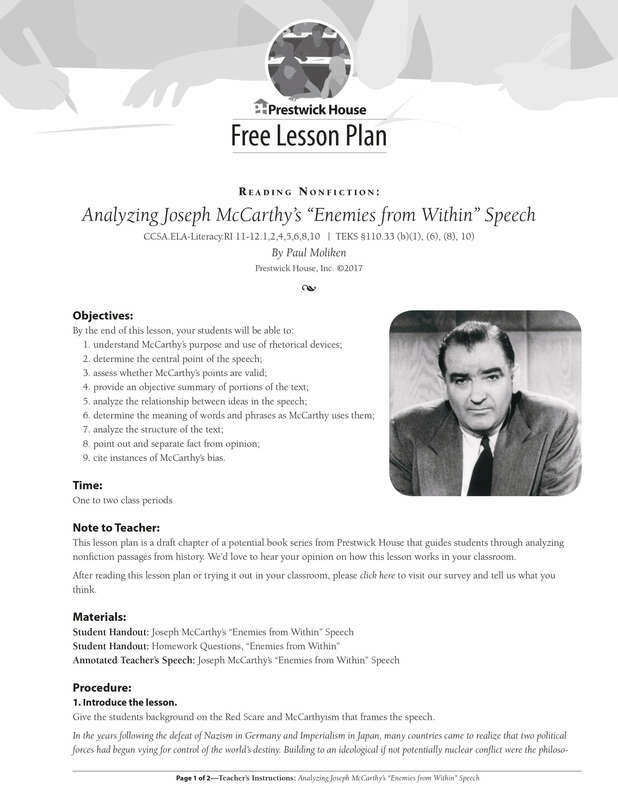 Use this lesson to help your students understand McCarthy’s purpose and use of rhetorical devices. 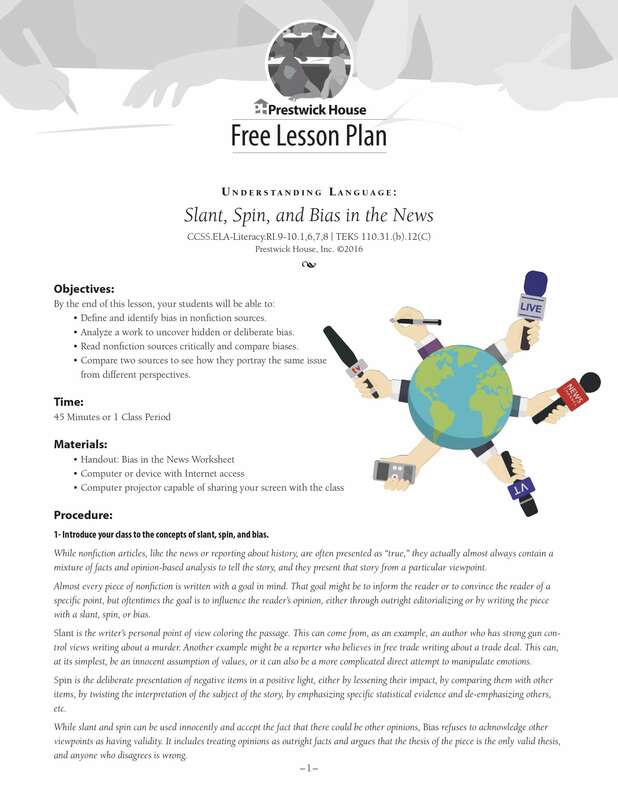 Use this lesson to help your students define and identify bias in nonfiction sources. 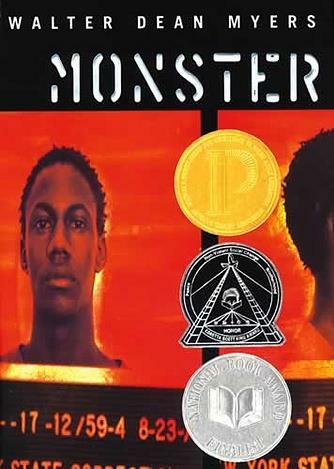 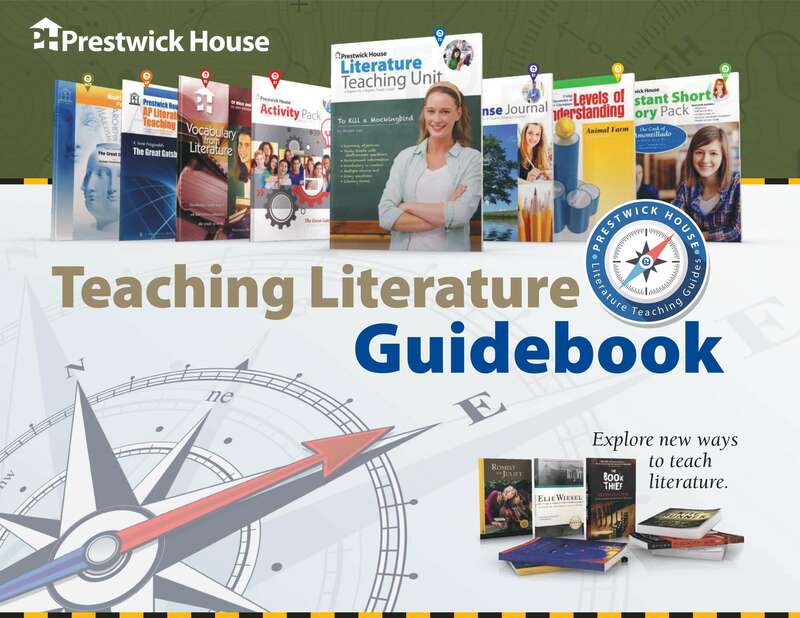 Take the guesswork out of teaching Walter Dean Myers’s Monster with our latest free guide. 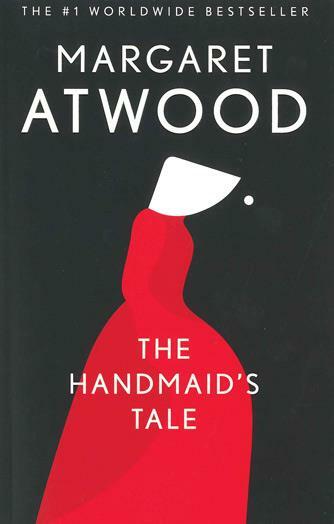 See a synopsis, objectives, and techniques for teaching The Handmaids Tale. 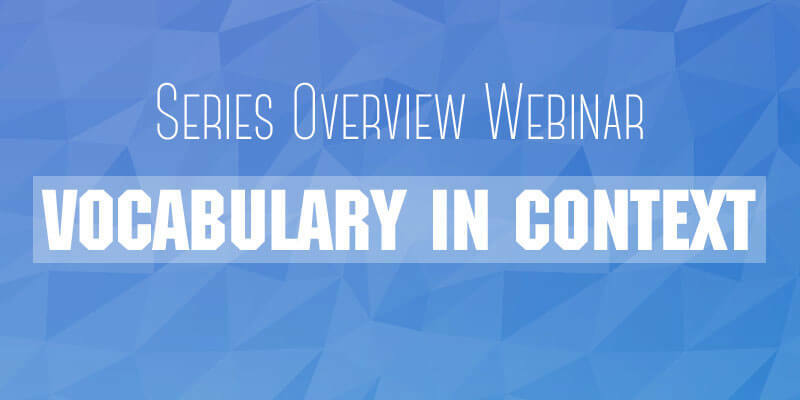 Watch this recording of our most recent webinar showcasing our Vocabulary in Context series.